Lavender is a potent topical anesthetic. 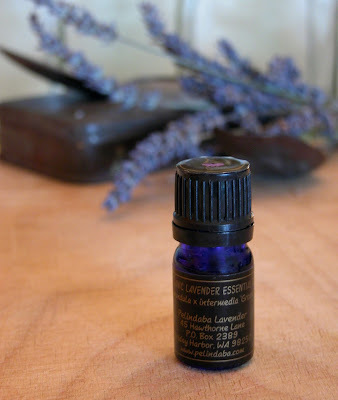 While most people know lavender essential oil for its wonderful fragrance, that is primarily because they are unaware of its many other therapeutic properties – properties that have largely been forgotten in recent generations. Following major shortages around the time of the 1st World War, most of the lavender essential oil produced was absorbed into the cosmetics industry due its great popularity at the time for lavender lotions, creams, soaps, etc. Prior to World War I, however, lavender essential oil was widely known as a powerful topical anesthetic. Applied directly to the skin or mucous membranes, this anesthetic property brought dramatic relief from pain within a minute or two. Not only useful in quickly eradicating the acute pain of insect bites and stings, it was commonly also used in the management of pain caused by trauma such as cuts, abrasions and burns. Not surprising then that lavender salve was so widely used by the British and French field armies during the 1st World War for pain relief among those suffering from the burns caused by the all-too-prevalent chemical warfare agents widely used in that war. Combined with another of its extraordinary properties – antisepsis – lavender essential oil was even more useful in treating wounds. While damping the pain, the oil also limits infection, thus allowing more rapid healing to occur. And with less infection and more rapid healing, scarring is also greatly diminished. Not surprising then that we often refer to lavender essential oil as “a First Aid Kit in a bottle”. Even better, it achieves all this without any harmful side effects, being one of the very few essential oils that can be applied directly to the skin without any toxicity. Organic Lavender Essential Oil is a "must have" for your First Aid Kit.